Meditation is proven to be very beneficial for the mind, body, and soul. Its popularity has been on the rise since people have been discovering and experiencing its benefits more and more. Once you get into the habit of meditating, you get more in tune with yourself. It is a habitual process to train your mind, to increase your focus, and redirect your thoughts. It helps you become more aware of yourself and your surroundings. It has been proven to be an effective way of reducing stress and also developing concentration. Because it is a habitual process and you need to develop your mind to meditate, it is also beneficial for learning self-discipline. Meditation also helps you get into the habit, once you know you can do it, it becomes easier to cultivate other habits. It helps you get in a positive mood and have a positive outlook, your sleep patterns get more regular, and you also experience increased pain tolerance. Meditation is also beneficial for people who have a shorter attention span. It helps you increase the strength and endurance of your strength. It is mostly advised for students who can’t focus. One of the main reasons people start meditating is to cure stress and anxiety. Now, unless the stress-inducing thing in your life goes away, it cannot be fully cured, but meditation helps with reducing it. Normally, mental and physical stress cause an increased level of the stress hormone known as cortisol. Increased levels of stress hormone can produce many harmful effects of stress. These effects can disrupt your sleep, increase blood pressure, make your body more susceptible to fatigue, your mind can be effected with cloudy thinking, the chances of depression and anxiety increase. Meditation helps get stress in control, and while at it, it saves you from many stress-triggered medical conditions. Less stress means less anxiety. One of the leading causes backing anxiety is stress. 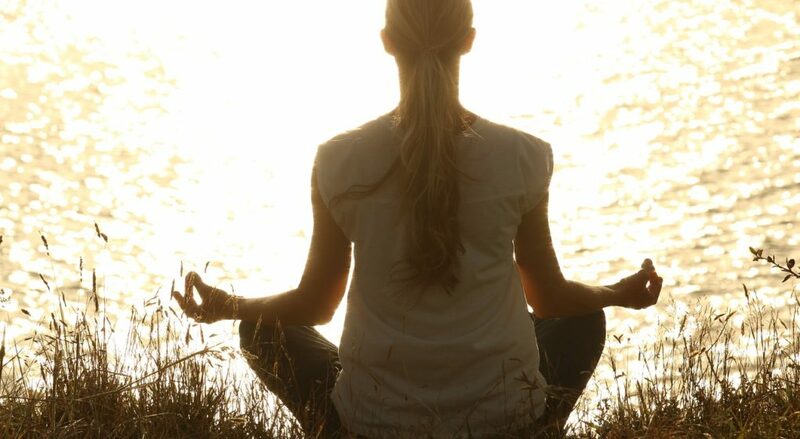 Meditation has been proven to reduce symptoms of anxiety disorders. These disorders range from phobias, social anxiety, paranoid thoughts, obsessive-compulsive behaviors to panic attacks. Jobs have been deduced to be one of the main causes of stress in people. Meditation is very much required for people who work in high-stress level jobs. It helps control anxiety and stress in high-pressure work environments. While meditating, you spend a considerable amount of time with yourself. This helps you develop a stronger understanding of yourself. When you are in tune with yourself, you know what you need to grow into the best version of yourself. Some forms of meditation focus on you learning to recognize thoughts that may be harmful or self-defeating. The logic behind it is for you to gain awareness of your thought process, the habit of your thoughts, this then helps you stress clear of the harmful and negative thoughts and teaches you to follow more constructive patterns. Another form, that is used to develop a greater understanding of yourself and how you relate to and react to those around you, is known as self-inquiry meditation. No matter what problems you face, and what your reasons are. Meditation only does good, it is a great thing to get yourself in the habit of doing.